The SAT has been around in one form or another since 1901. Through all its changes, probably the most helpful one for you is the rise of free online practice questions and guides covering every aspect of the test. 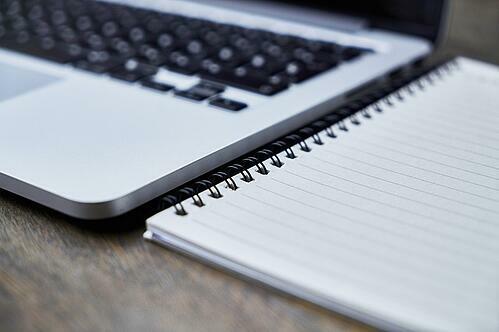 Rather than having to carry around 400-page practice books like the students of yesteryear (i.e., the 90s), you can use these online resources to prep from anywhere with the Internet. To help you discern high-quality resources from low-quality ones, this guide will break down the SAT prep websites you can use to review content, learn strategies, and find practice questions. This article is one of many detailed guides offered (for free!) by PrepScholar. By exploring our other articles, you'll find in-depth information and analyses of all aspects of the SAT and ACT, from suggested study schedules to how to read passages to how to choose your test dates. Plus, we like to keep on top of those high-profile cheating scandals that often result in SAT score cancellations across the globe. I personally think PrepScholar offers the most insightful, high-level guidance around every step of the testing process. Our customized online test prep program tracks your progress and does a lot of the heavy lifting for you. That's why I'll link to our various guides when appropriate, to give you a sense of all the different areas we cover and continue to add to every day. 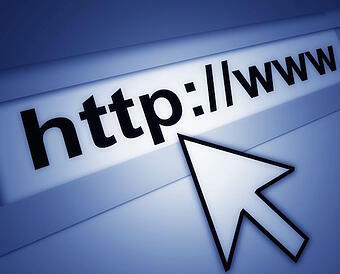 At the same time, there are several other sites with highly useful information for your SAT prep. Rather than listing them in a row, I'll organize them by the testing steps you're looking for, starting with test registration and followed by guides for scheduling, test-taking strategies, and finally practice questions. If you've heard of the SAT, then you've probably heard of the College Board. This group administers the SAT and sends your score reports to colleges. To register for the SAT, you must create an account on the College Board website and upload a picture of yourself. 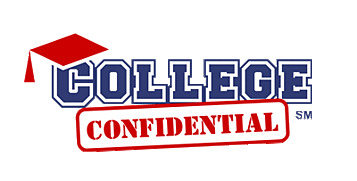 You can then use this site to search for and learn about colleges across the country. But this isn't all the College Board does. For one, it breaks down the SAT's overall format and skills: you can go "inside the test" to see what concepts are tested on the Reading, Math, Writing, and Essay sections. Some descriptions are a bit wordy and confusing, so you'll have to look elsewhere if you want to read about the test in more accessible language. This website also offers free prep material, including SAT practice questions and eight full-length practice tests. SAT questions from the test makers are the gold standard when it comes to test prep. You can access dozens of sample questions for Reading, Writing, and Math, and you'll get to see all correct answers and answer explanations. For the Essay, the College Board gives test takers two sample essay prompts and sample essays scored from 1 to 8. Because the full-length tests are the same as those in The Official SAT Study Guide, I advise printing them out on your own rather than buying the book. Make sure to time yourself as you take the practice tests, and spend ample time correcting your answers with the answer keys provided. What concepts are tested on the SAT? What are the different skill sets you need for Writing and Reading? What kinds of tricks can you use to keep yourself from running out of time? One key part of your SAT prep that you won't find much of on the official SAT website is strategy. The College Board doesn't want you to know that questions follow certain standardized templates, or that you'll usually find the same kinds of wrong answers on Reading questions meant to distract you from the correct one. Nor will it give you strategies for reading passages quickly and efficiently, or managing your time on Math. So what resources should you use instead? The following SAT websites are the most useful for learning the content and format of the SAT and getting down critical test-taking strategies. Our SAT blog offers in-depth coverage of each section of the test. Read about what's tested on each of the four sections, learn every detail of the SAT structure, and get a comprehensive look at the most recent SAT data, including average scores and percentiles. Unlike the College Board, whose SAT-ACT comparison charts clearly favor the SAT, our breakdown of the two tests has no agenda for you to choose one college admissions test over the other! What's Tested on the SAT Math Section? What's Actually Tested on the SAT Reading Section? What's Tested on the SAT Writing Section? 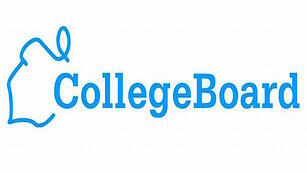 I also suggest exploring our General Info articles for information on topics such as test dates; Score Choice; scoring, sending, and receiving scores; and the best books for SAT prep. Although learning about the content and format of the SAT is relatively straightforward, finding effective strategies for answering questions and saving time on it are fewer and further between. Choose Your SAT Test Dates: When's a Good Time For You? 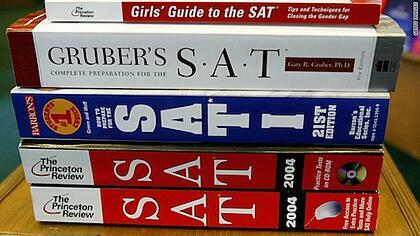 This is just a small sampling of the SAT strategy guides we offer. In addition to these, we've written tons of guides specific to Math, Reading, and Writing for students in grades 9 through 12, and for middle schoolers who are starting prep early or taking the SAT to qualify for talent competitions. Finally, we strive to keep up with trends and events in the world of the SAT, as you can see in our articles on SAT Essay length and the SAT's relationship with the Common Core. 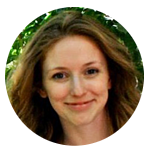 Erica Meltzer's blog is extremely useful for prepping for the SAT Reading, Writing, and Essay sections. Unfortunately, she doesn't offer as much information for the current version of the SAT as she did for the old SAT. Additionally, some of her SAT Reading tips have been merged with ACT Reading tips since the tests are so similar these days. I suggest exploring the blog for more tips for the verbal sections. Although her posts are engaging, Meltzer ultimately leaves it up to you to seek out examples and sample questions when trying out her advice. 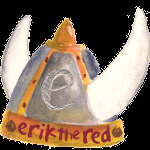 While Meltzer's blog focuses on verbal, Erik the Red is all about SAT Math. This website lets you download PDFs containing critical math facts, formulas, strategies, and vocabulary. The resources here are useful for both the SAT Math section and the SAT Math Level I and Level II Subject Tests. However, it's important to note that this website is even less updated for the SAT than Meltzer's blog is. The math resources here have remained unchanged since the old SAT and thus don't reflect the current SAT format, question types, and skills tested. I decided to keep this website on this list, though, because many of the math concepts explained here—especially the algebraic ones—are essential to your performance on SAT Math. The PDFs Erik the Red has are still useful review for content areas like linear equations, nonlinear equations, functions, quadratic equations, and graphs. You could use them as review, but be sure to focus on the skills that will actually appear on the SAT (and leave out the ones that are less important). For instance, you don't have to focus too much on geometry since it'll only show up in about 3-5% of SAT Math questions. If you have general questions about the form or content of the SAT that aren't answered in the resources above, try College Confidential. This website offers several student and parent discussion threads about the SAT, which you can peruse or even comment on. The Ask the Dean forum in particular has some helpful advice about how many times to take the SAT. It suggests three—that's more than what the College Board says to do and about the same as what we recommend doing (depending on your circumstances and goals). It's best to check out the forums here before you head over to the College Board and sign up for a test date. The College Board isn't the only website that offers an assortment of free, high-quality SAT practice questions. Below are our top three picks for the best online resources for practice questions for the Reading, Writing, Math, and Essay sections. Some of them even offer full-length tests! Khan Academy has designed a scaffolded SAT prep program that diagnoses your level and takes you through practice questions, step by step. It was developed in collaboration with the College Board, so all of its practice questions are official and realistic. Its combination of video and written explanations will also appeal to different learning styles. On Khan Academy's interactive site, you can set up an account and take diagnostic tests on each section of the SAT. Then, Khan Academy will suggest what level you should focus on and, much like our own customized approach, present you with targeted question types to help you improve. 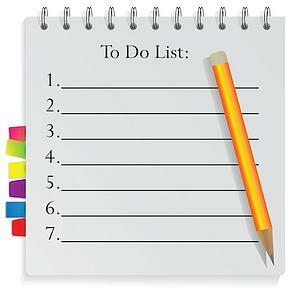 The site breaks down each section into subtopics and gives you helpful tips on how to structure your prep schedule. Because it keeps track of your progress, you can log in from anywhere to pick up where you left off. 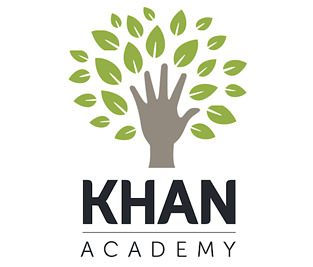 Though its SAT material is thorough, the limited number of practice questions and lack of test strategy mean that Khan Academy, albeit incredibly useful, shouldn't be your only source of practice problems. In addition to SAT practice questions, Khan Academy offers resources that explain the structure of the SAT. At present, there are six articles and corresponding videos that describe the format and content of each section (including the Essay) and how they're scored. The website also contains a helpful glossary of SAT terms that go over what terms like "percentile" and "raw score" mean. If you're tired of reading about the SAT and prefer to watch explanatory videos, then Khan Academy is your best source for video explanations of what's on the SAT. We've compiled PDFs for all eight official SAT practice tests, which you can download, print, and take on your own. In addition, we've collected four old SAT practice tests (using the 2400 system) and four very old SAT practice tests (using the old 1600 system). While these tests use old versions of the SAT, they can still be useful for your prep as long as you focus on relevant question types and skip the ones no longer tested (such as Sentence Completion). You'll have to score these tests on your own as well as take the time to understand your mistakes and analyze your answer choices. You can also try out a 5-day free trial of PrepScholar's online test prep program. For these 5 days, you'll have access to the entire program and can try out whether this approach to test prep works for you. PrepScholar helps break down your SAT prep into manageable goals, tracks your progress, and customizes your studying so you're focusing on the practice problems where you need the most improvement. If you enjoy this approach to test prep, then you can continue on with the entire program. If not, then you can call it quits after your 5-day trial. Like PrepScholar, CrackSAT.net offers free, official, old SAT practice tests (with answer keys) that you can download for free as PDFs. Again, you'll have to score these yourself and take the time to understand and analyze any mistakes you make. This website is a bit tough to navigate, but once you wind your way through it, you'll have access to plenty of SAT practice questions. Altogether, this collection of websites and blogs can give you a ton of information about the SAT, from its content and form to strategies and official practice questions. Read on to learn the steps you should take to best use these online SAT resources in your prep. In order to get the most out of the websites listed above, you'll need to know how to approach and use SAT websites effectively. For both the College Board and Khan Academy, you'll want to make an account and keep track of your usernames and passwords. 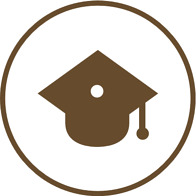 To post on College Confidential, you'll also need to register. This website helps you connect with a community of students and parents going through the same process, with many of the same questions or experiences as you. For our own SAT strategy guides and Erica Meltzer's blog, you can just read through the different articles to answer any questions you might have or to learn new tips. You can then try out the various strategies you've learned on official SAT practice tests. Although the College Board is the official site for all things SAT, I recommend against taking all of its advice as definitive. Those working for the College Board don't promote test strategies too much as they don't want test takers to be as much of an SAT expert as they themselves are. In the end, your best shot is to search for high-quality strategies and insights into the SAT on these other websites, and then try them out on official practice questions or during our free, five-day SAT prep program trial. By combining strategy and content readiness with official SAT practice questions, you'll be able to improve your score a great deal across all dates you take the SAT! I gave you links to some of our most popular SAT articles—but these aren't our only SAT strategy guides. Browse our blog to get more tips on Math, Reading, and Writing. Many of our articles cover crucial test-taking approaches like managing your time, guessing effectively, and using the process of elimination. For more information about the college admissions process, check out our complete guide to applying to college.